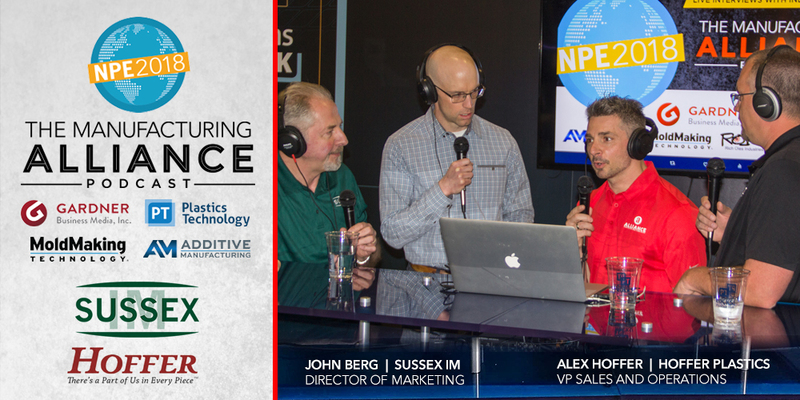 In this episode we discussed the challenges facing domestic molders in a global economy with John Berg, Sussex IM and Alex Hoffer, Hoffer Plastics. Topics include: How to remain competitive on a global scale and what competition really means when you break it down. Challenges facing molders today including employee retention and doing whats right for your team. Areas of predicted growth and how they are changing the market place. Benefits to utilizing additive manufacturing and much more.